Although we cannot set an exact date for when these changes started, we do detect that in the past years there have been notifications about how the search robot was updating and behaving. The “obligation” not to hide this content is what gives way for Google Tag Manager, its containers and tags, to incorporate metatags, rich snippets, etc. And best of all, you do not need a technical support team to implement the improvements, because the tool does it automatically in our website. We will see further on all the advantages this brings. When we put theory into practice, we will see whether this works or not. In our case we had a client that could not change the Title tag from its web pages, so we proposed doing what we mentioned above. 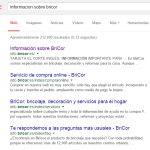 You can check the existence of a Title on info.bricor.es: in the source code we find “<title>Info.bricor.es</title>”, but the page loads and indexes “Información sobre BriCor”. We can see in this example that Google has not only identified the tag via Google Tag Manager, but it has replaced it and indexed it. With these results we could extend this use to the rest of metatags which are so important for webpage SEO ranking. But we will do this further on, when I will encourage you to try with other tags to take the best out of this tool. After we have checked this, the next step would be to learn how it behaves with results that have this kind of tags in the HTML. We love doing this kind of experiments, so you will soon have one you can check out in this blog. 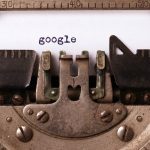 What changes can we expect in SEO? In face of this possibility, where optimization and improvements in some SEO aspects do not depend on the technical support team uploading them, we find a scenario where the changes take place faster and more easily. Not because these experts cannot do it, but because they are not necessary for this part-they can still do other tasks where they are indispensable-and the Tag Manager is what takes charge of the process to show what we want. This change is more noticeable for web pages of individuals that are managed by one or more people who are no technicians. They will have a limitation in this respect, and getting rid of this problem can help them make improvements that they could not control yet. 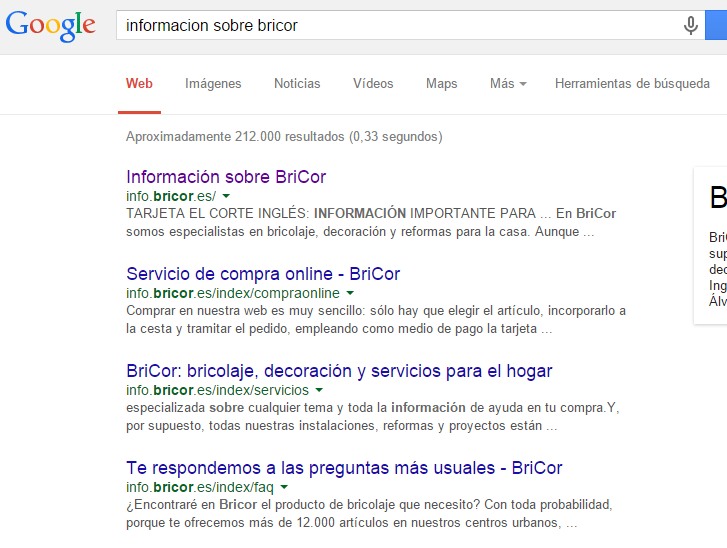 Now we are face to a simpler new level of SEO optimization. Learning how containers and tags work you will be capable of making the best out of it. And what seems more interesting for a field like the internet, the possibility to replicate on other pages what you have done correctly, even on different domains. Another important aspect is the easy difficulty to perform future changes, since everything is developed from the same window on the platform. Now that we start to see all what this tool opens up for, we will not set a limit or expiry date. But as we saw in this article, optimizing the web pages metatags-which is a very important aspect of the ranking of a webpage-can be done without major problems. Another important aspect where we can make profit is the marking of products data from Schema, something also known as rich snippets. We can include products ratings, their descriptions, information about movies, restaurants, people, or any Schema that is normally used. 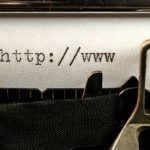 Although it is obvious that we cannot develop a web from scratch, in this article I intended to test how it works and start using the most common tags to check the results. Once done, the next step is to keep on trying to know the results. Have you made any test on your web using Google Tag Manager? 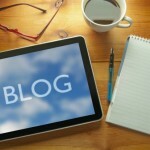 Do not miss the articles coming to our blog. We are preparing several experiments to check out the SEO usefulness of this tool in a web page.